The industry has been using a lot of sulfuric acid for a long period of time. Due to the variety of applications, it is a mass-produced substance. Despite the stricter environmental standards and legal regulations, the production of sulfuric acid is not diminishing. The constant demand for this chemical proves how indispensable it is for the global economy. H2SO4 is the corrosive blood of the industry, pulsating in countless production installations around the world. The sulfuric acid is handled by professionals operating in various industries. Scientists use it for numerous research and experiments, and with its help, students acquire knowledge in chemical laboratories. Today, it is difficult to imagine the functioning of modern economy without sulfuric acid. Its properties make it an irreplaceable raw material and reagent, difficult to displace even by the most innovative chemicals introduced to the market by chemical manufacturers. – 98% – the previously mentioned concentrated sulfuric acid. Industrially, sulfuric acid is obtained by the contact method by oxidation of sulfur dioxide, which comes mainly from the combustion of sulfur or metal sulphides (e.g. pyrite). The sulfuric acid production process using sulfur can be divided into three stages. The first of these involves the production of sulfur dioxide. Then sulfur dioxide is oxidized to sulfur trioxide. The last stage involves the conversion of sulfur oxide (VI) into sulfuric acid. Sulfur combustion is carried out in excess of air in order to completely react at a pressure of about 0.5 MPa. The whole process is carried out at a temperature of about 150oC in tanks lined with a thick layer of fire and acid resistant brick. Molten sulfur is filtered to remove impurities (it is mainly iron and organic compounds). Often, lime is also introduced into the process, so as to reduce the acidity of molten sulfur, thus limiting its corrosive properties. Molten sulfur is pumped to the burner, where it is then burnt. The mixture of sulfur dioxide and air coming out of the burner is then passed through a filter and all impurities are removed. In the next stage, sulfur dioxide is converted into sulfur trioxide by reaction with oxygen in the presence of a catalyst. The commonly used catalyst is vanadium pentoxide (V2O5), and dispersed potassium sulphate is used as its carrier. The support function of this catalyst is usually made of silica or aluminosilicates, which are characterized by a very high porosity, thus providing a large surface area for the reaction to proceed. The speed of the process is also dependent on the temperature. In practice, it is kept within about 500°C so as to ensure an adequate rate of reaction with the highest conversion possible. The last step in the production of sulfuric acid involves the absorption of SO3 in concentrated H2SO4 or oleum, in order to prevent the formation of a difficult to condense so-called sulfuric acid mist. Sulfuric acid at a concentration of 98% circulates at such a rate that the newly absorbed SO3 causes a very small increase in its concentration. The whole process is carried out at a temperature of about 70oC, thus maximizing the SO3 absorption efficiency. In addition, water is added to the acid tank to dilute acid to appropriate concentration. The sulfuric acid stream is continuously drained and cooled by plate heat exchangers before being placed in storage tanks. The total conversion of sulfur to sulfuric acid is about 99%. Sulfuric acid is of great importance in many industries. The highest consumption of H2SO4 is observed in the fertilizer industry. This is mainly related to the production of superphosphates and ammonium phosphate and sulphate. Sulfuric acid is also of great importance for the production of other acids, e.g. hydrochloric, nitric and phosphoric acid. It is also used in the production of explosives as one of the raw materials for the production of TNT. In turn, in the petrochemical industry, H2SO4 is mainly used for drying oils, kerosene and paraffin. It also acts as a catalyst in the reaction of obtaining isooctane, which is one of the main components of gasolines. Sulfuric acid is also used in mining and metallurgy, where it is used in copper ore enrichment processes. H2SO4 is also an electrolyte in popular lead-acid batteries. In addition, sulfuric acid is widely used in the detergent industry (e.g. in the production of sodium lauryl sulfate) and in the cosmetics industry, where it is used for the production of raw materials and semi-finished products (e.g. silver nitrate), as well as hydrogen peroxide or fragrances. Such a wide application means that in the absence of sulfuric acid it would be impossible or simply unprofitable to carry out many basic and extremely important industrial processes. 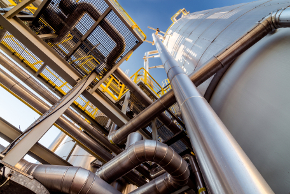 Sulfuric acid is a raw material indispensable in many technological processes, and its extremely diverse market is on the verge of many challenges. Concerns about adverse environmental impacts can offset or even weaken the demand for this popular raw material. However, it is a fact that H2SO4, despite being present in chemistry for years, does not lose its popularity and is still one of the most necessary chemical raw materials used in the industry on a massive scale.